NZ Mint is New Zealand’s only precious metal mint, and has been minting legal tender collectible coins, gold bullion and medallions for more than four decades. 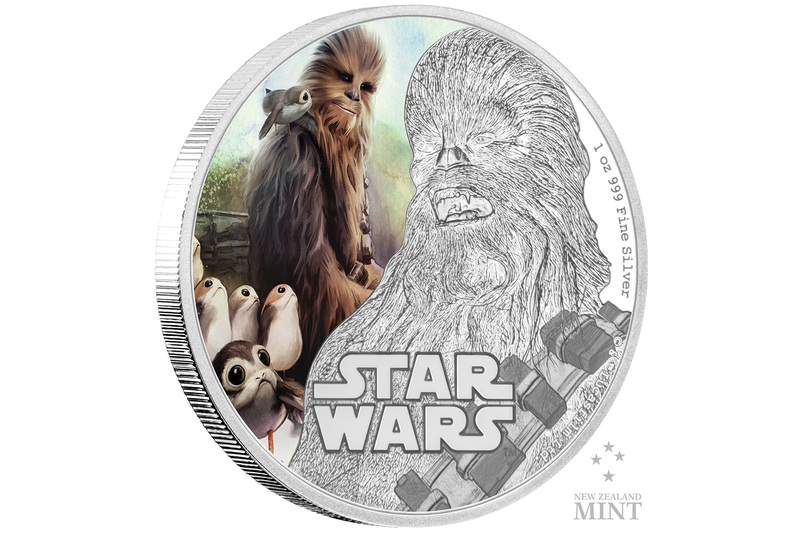 They have been producing licensed Star Wars collectible coins, which are legal tender in Niue, since 2011 (all NZ Mint articles). 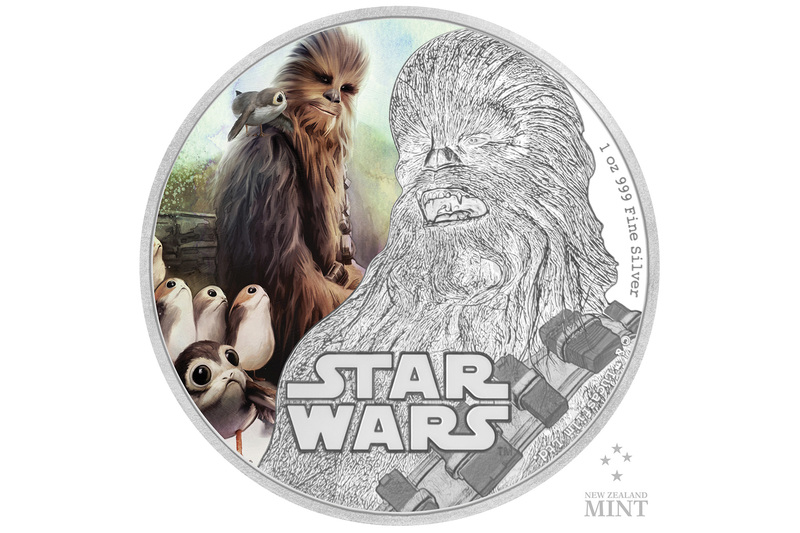 As of today, we are able to reveal their three new The Last Jedi 1oz silver coins, featuring Chewbacca the Wookiee (with a flock of porgs), Luke Skywalker (and heroes of The Resistance), and Supreme Leader Snoke (with Kylo Ren and Praetorian Guards). These designs are a mix of engraved images with full colour backgrounds, and are limited to 10,000 coins each. Scroll down for more images, including of these collectibles in their acrylic display blocks. In conjunction with this product news, we were able to put some questions to Brent Hindman, head of sales and marketing at NZ Mint, to glimpse behind the scenes of their design and manufacturing processes related to the NZ Mint Star Wars coin collections. You can check out the latest Star Wars coins, as well as available coins from their back catalogue, at the NZ Mint website here. Q: New Zealand Mint first started working with the Star Wars license in 2011. How did that idea and relationship come about? NZ Mint: When New Zealand Mint originally produced Star Wars coins, they did so under a relationship with a third party licence holder, who had managed to secure a licence for coins with Lucasfilm but needed a mint partner to facilitate creation of product. This relationship petered out, and NZ Mint and the Star Wars brand team at Disney entered a direct licence arrangement. This means we have a direct line into the Disney Star Wars team, creative assets etc which gives our programme more coherence. NZ Mint: Yes we have a heap of Star Wars fans at NZ Mint. 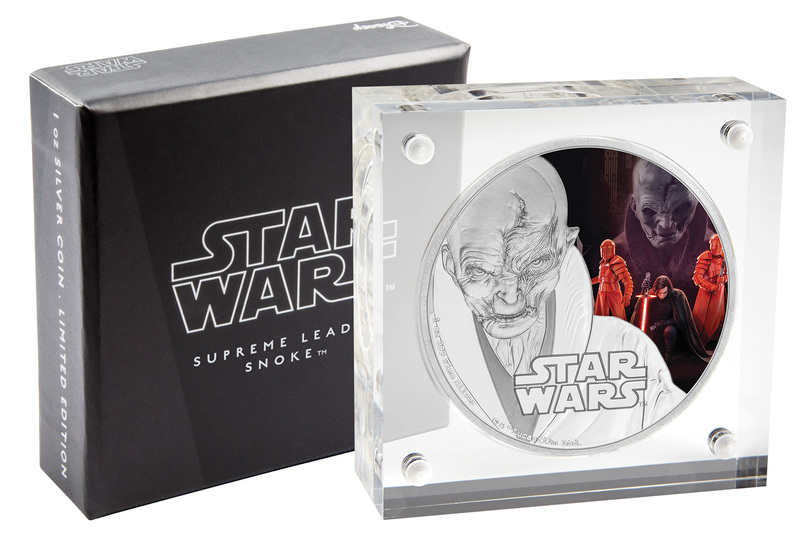 Each new range or concept is completed in collaboration with the Star Wars brand team. We come up with the broad concept, such as Star Wars Posters, and then the SW team ensures we get all the correct approved assets we need in order to design. Our design team create concepts for coins and packaging, from which we select the ones that we move forward with. Q: Can you tell us about the general manufacturing process? 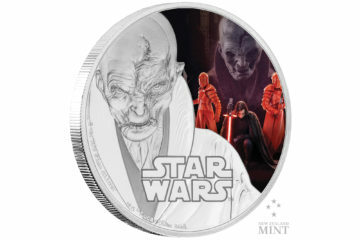 Are the Star Wars coins physically made in New Zealand? What’s the process for imprinting the coloured designs on the coins? NZ Mint: Yes there are Star Wars coins made in New Zealand. NZ Mint has the only Minting presses in NZ. We focus on producing gold product only, so the Star Wars gold 1 and ¼ Oz coins are stamped here. For silver, we have manufacturing partners in Europe, USA, Singapore where we also mint. Colour is added to the coins either by pad printing or digital printing. The type of printing that we do depends on the degree of detail we need in the image, and whether the printing is to appear over relief on the coin. Q: Can you explain what makes a product legal tender? 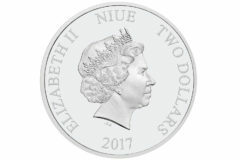 Why is Niue the country in which your collectible products are legal tender? NZ Mint: Legal Tender coins are the only real coins. Any round ‘coin’ which is not legal tender is called a medallion. For a coin to be Legal Tender, it must be issued as Legal Tender by the government of a nation. 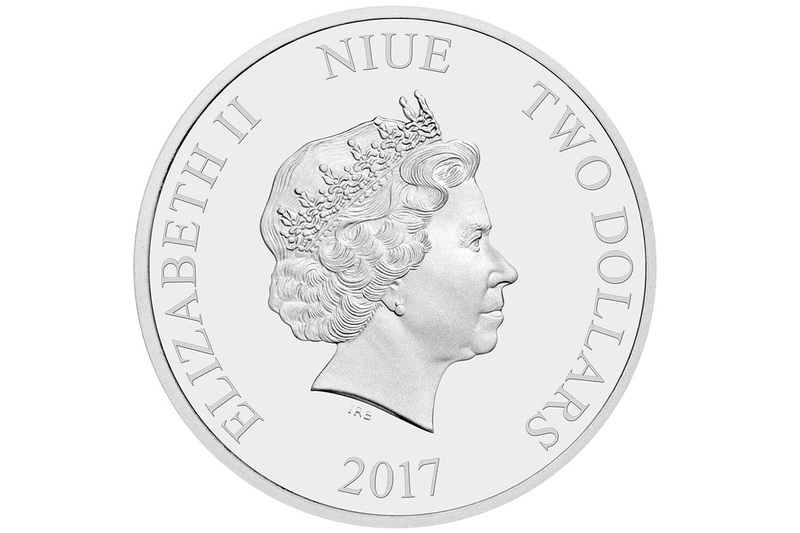 New Zealand Mint works closely with the government of Niue on our coin programmes. Each product we design, is approved not just by Disney, but also by the Niue Numismatic and Philatelic board (Coins and Stamps Board). Prior to ever commencing production, we have to specify the design, the metal purity, and the mintage (i.e., the most we can manufacture) of the coin. This is then passed by law. This is important for collectors, as anyone can put pictures onto round pieces of metal, but, by law, collectors are protected, as our coin must be the correct purity, and we cannot over manufacture against the mintage else we are effectively counterfeiting money. We work with Niue, as they are one of the few governments around the world that are open to having designs such as Star Wars characters on their coins. 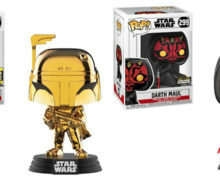 Having the name of this small nation, seen by people around the world associated with a reputable brand and a high class collectible, is a good thing. They also receive a royalty for each coin sold. 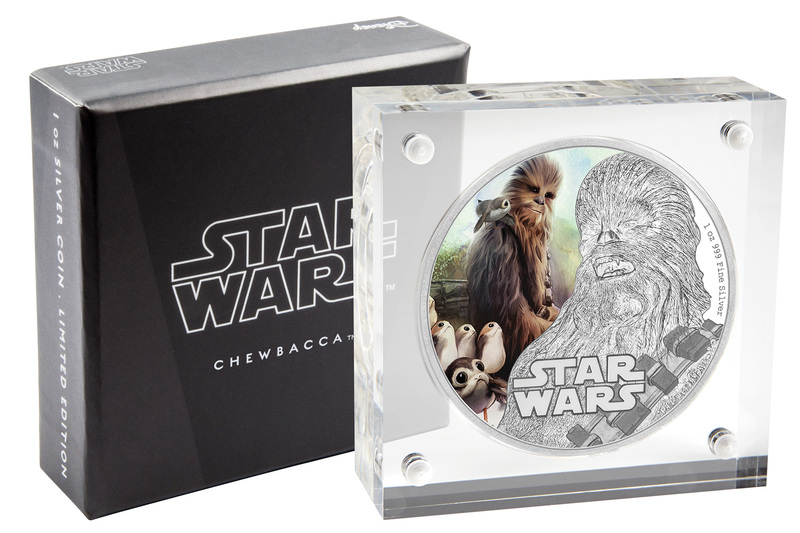 Q: The rectangular Star Wars and The Empire Strikes Back poster coins are beautiful display pieces with their acrylic cases. Can we expect to see more in that series? NZ Mint: Yes you can. 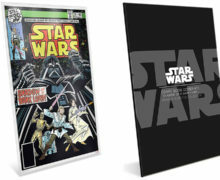 We have plans to complete all 9 of the core Star Wars movies. 3 per year through until end of 2020. 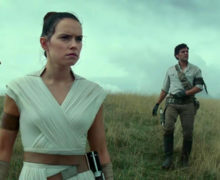 Q: Are you able to share information about future plans… perhaps relating to upcoming movies such as Episode 8: The Last Jedi? 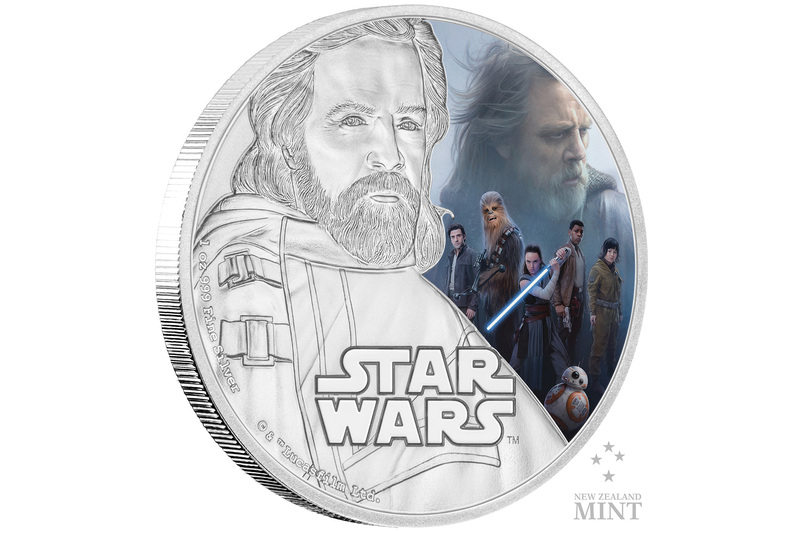 NZ Mint: [As well as The Last Jedi coins revealed on this page] we also have some other quite cool initiatives in the next six months. [Also just released is] our first Ultra High Relief coin. This is where we use two ounces of silver to produce a coin with ‘high relief’ for a more spectacular effect (see product details here). We also have another secret project I cannot disclose details of, but it is due early 2018, and will be quite exciting!